1. 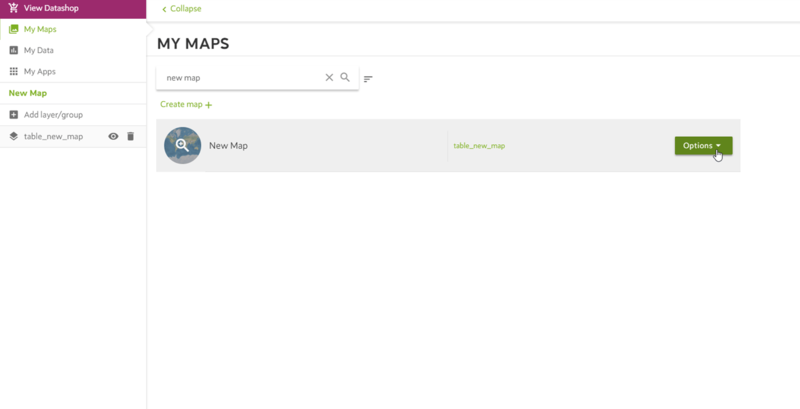 Find the map you want to delete in your account and press the OPTIONS button. 2. Now a dropdown menu will appear with a few options. 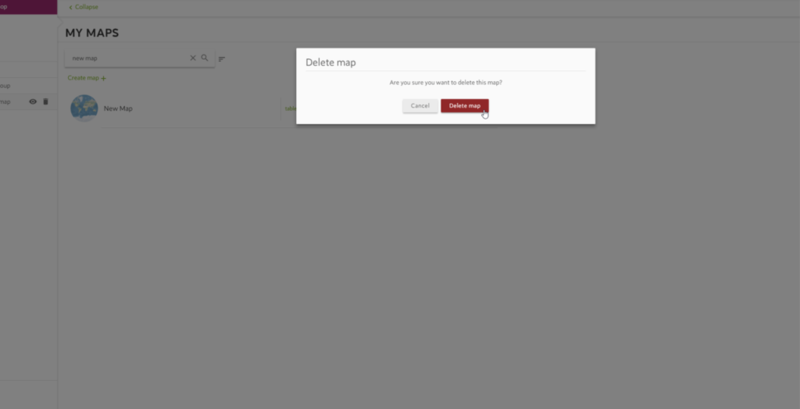 Click the red DELETE MAP button to delete your map. 3. Click DELETE MAP in the pop up window to confirm. 1. To delete the dataset belonging to the map you deleted in the previous step go to MY DATA and find the dataset in question. Press its OPTIONS button. 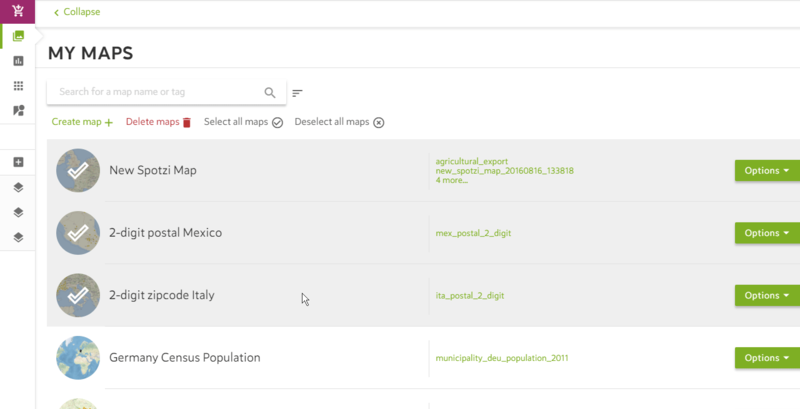 As you can see the dataset is not connected to any of your maps. 2. Now a dropdown menu will appear with a few options. 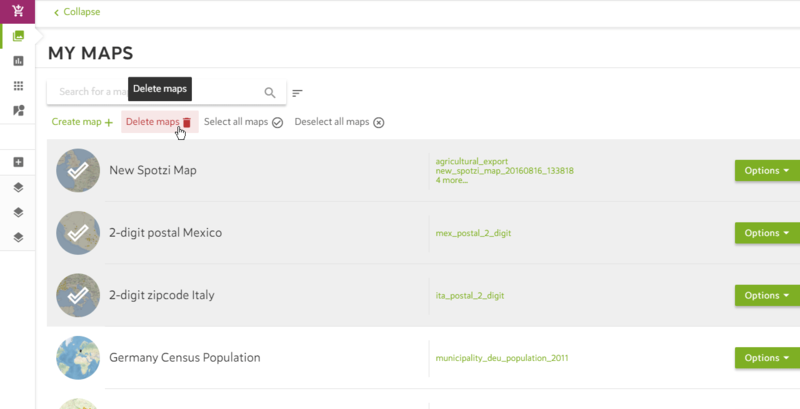 Click the red DELETE DATASET button to delete your map. 3. 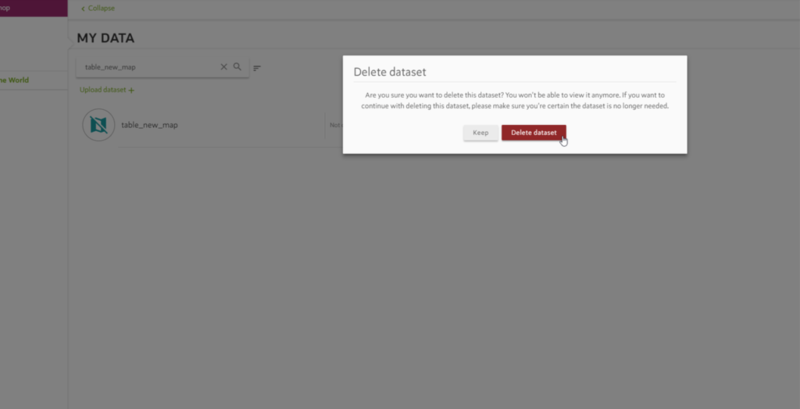 Click DELETE DATASET in the pop up window to confirm. 1. When you want to delete maps/data in bulk you have to go to MY DATA or MY MAPS. 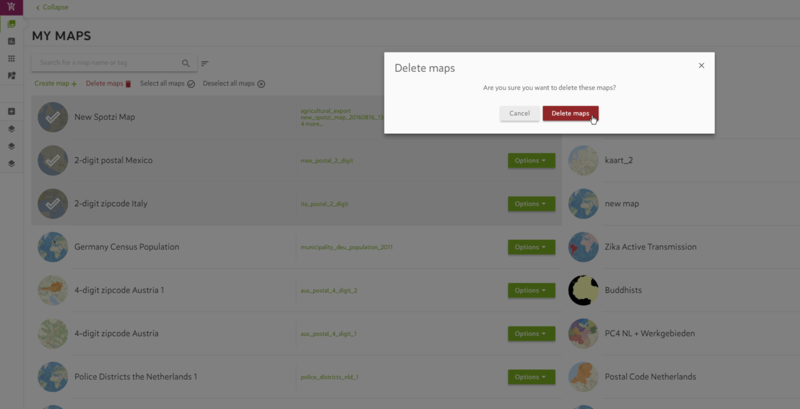 Select the maps/data you want to delete. 2. Now a menu will appear in the upper left corner. Click the red DELETE MAPS/DATASETS button to delete your maps/data. 3. Click DELETE MAPS/DATASETS to confirm.